I had an issue, where the index size on two server were very different. 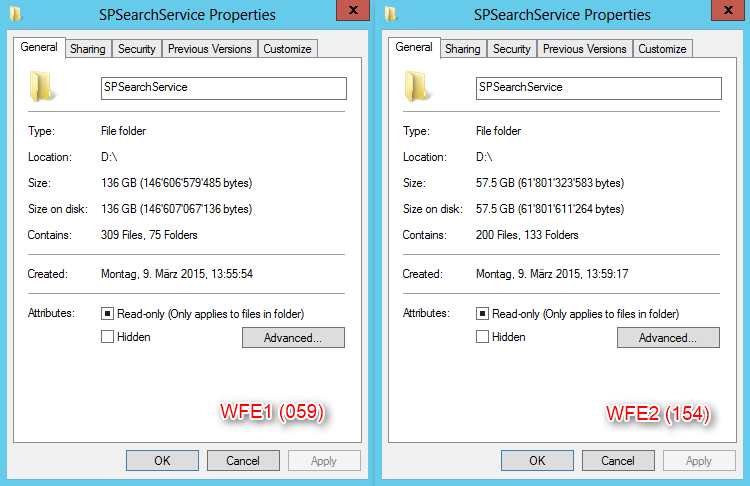 While the primary and replica index on WFE1 used 136 GB together, the size on WFE2 was only about 57 GB. 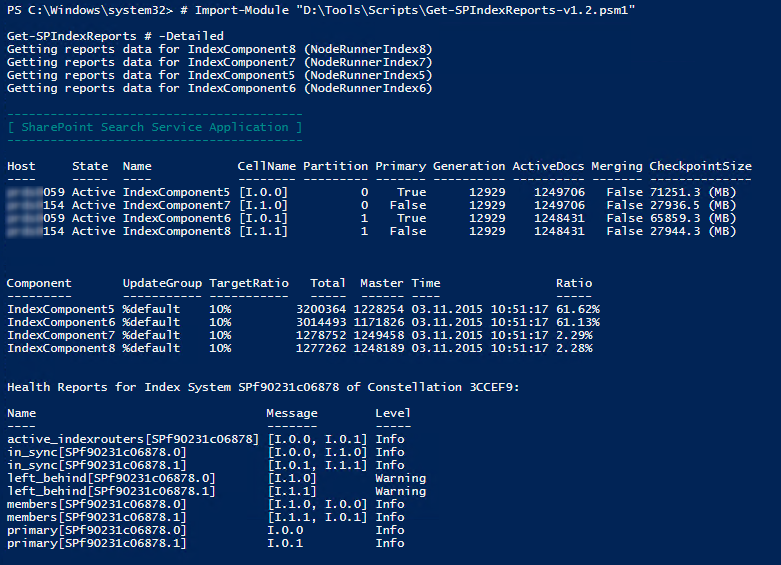 With an Index Report PowerShell script (which I found here: MSDN Blogs > SharePoint Strategery > Examples Using SP2013 Search Index health reports for monitoring and troubleshooting) I could see a very high Index Ratio of about 61% (Target is about 10%). ...could be, that the disk on one WFE was at one time very full (0 MB free space), maybe this was the cause why merging didn't work properly. I did full crawls on my content sources, but no effect. Only a complete index reset followed by a full crawl on every content source did the job. After some time, my ratio was about 7.5 %. Maybe more solutions will be posted in my corresponding thread on Stackexchange.